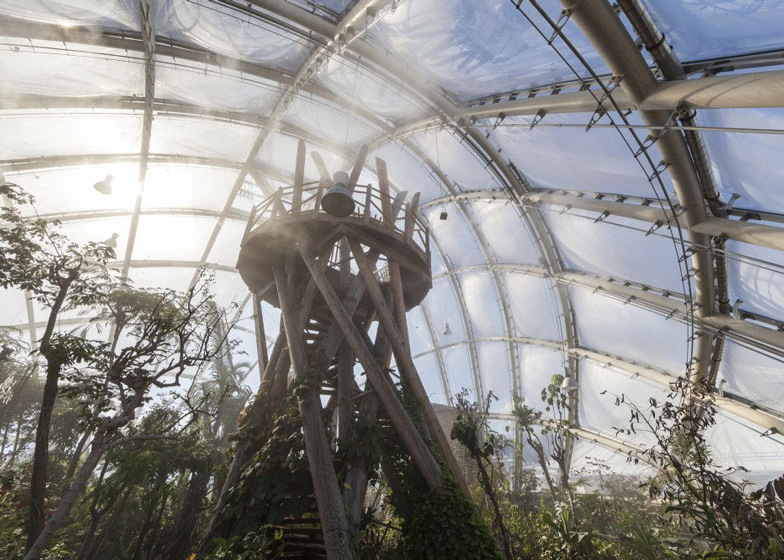 A facade of translucent plastic pillows can be pumped up to alter lighting and temperature inside this domed tropical greenhouse in Aarhus by Danish firm CF Møller (+ slideshow). 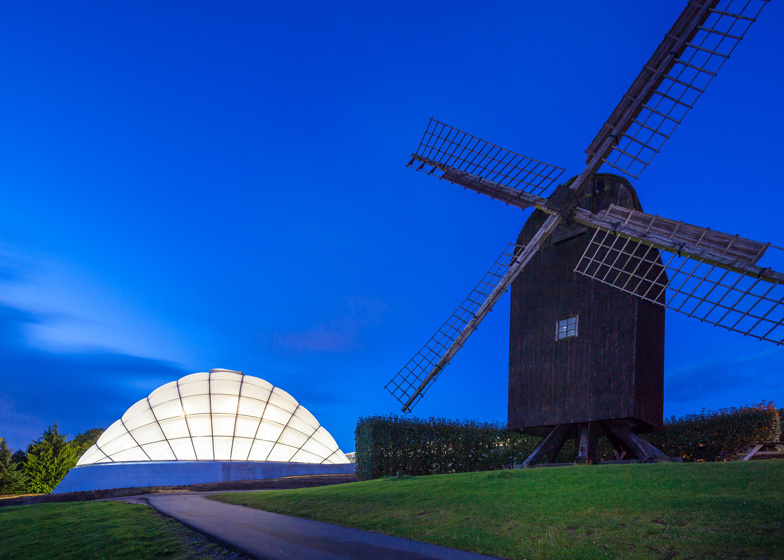 CF Møller worked with membrane facade specialist formTL to create the ETFE plastic facade of the new Tropical House, located at the Aarhus botanical gardens. This provides an energy-efficient envelope with a quilted texture around the 18-metre-high structure. The light and heat conditions within the building can be adapted by increasing or decreasing the air pressure inside the pillows, which then changes the translucence of the facade. 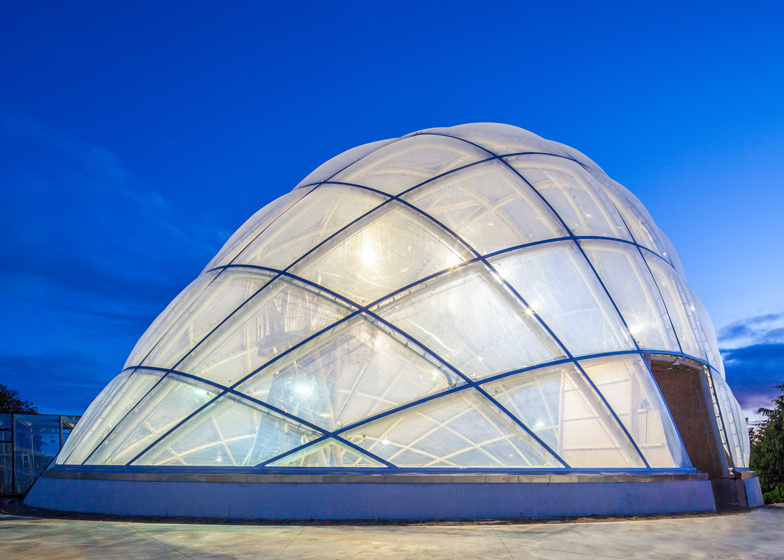 A grid of ten steel arches gives the greenhouse its curved shape, designed to create a large interior space using the lowest possible surface area. 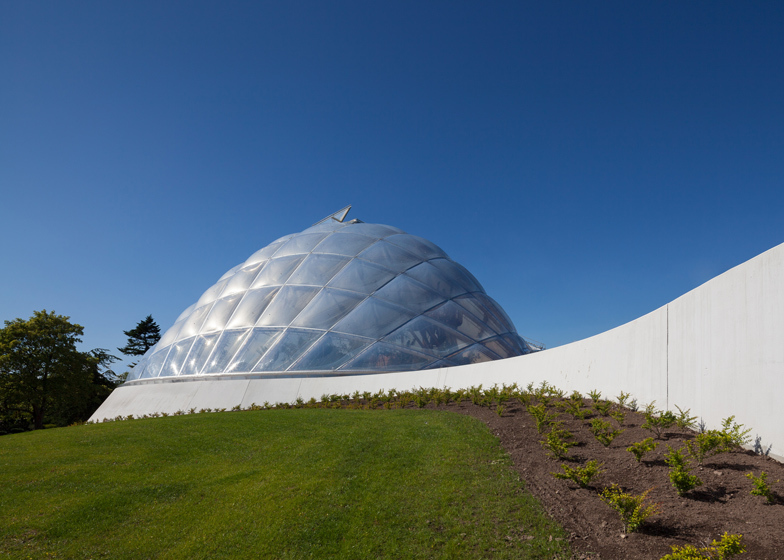 "The domed shape and the building's orientation in relation to the points of the compass have been chosen because this precise format gives the smallest surface area coupled with the largest volume, as well as the best possible sunlight incidence in winter, and the least possible in summer," said the architects. 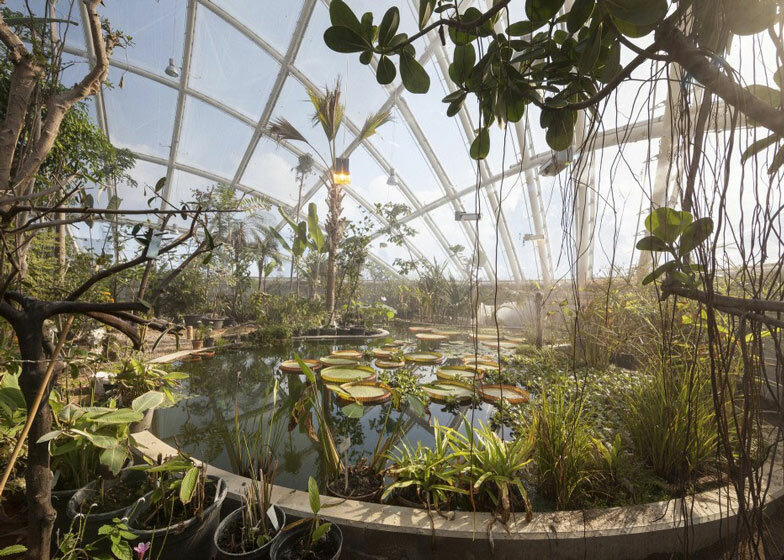 An assortment of tropical plants, trees and flowers fills the interior of the greenhouse. A pond is located at the centre of the space, while an elevated platform allows visitors to climb up above the treetops. The building was constructed to replace an existing hothouse built by the same architects in 1969. This structure was renovated as part of the project and will now be used to house a botanical knowledge centre. 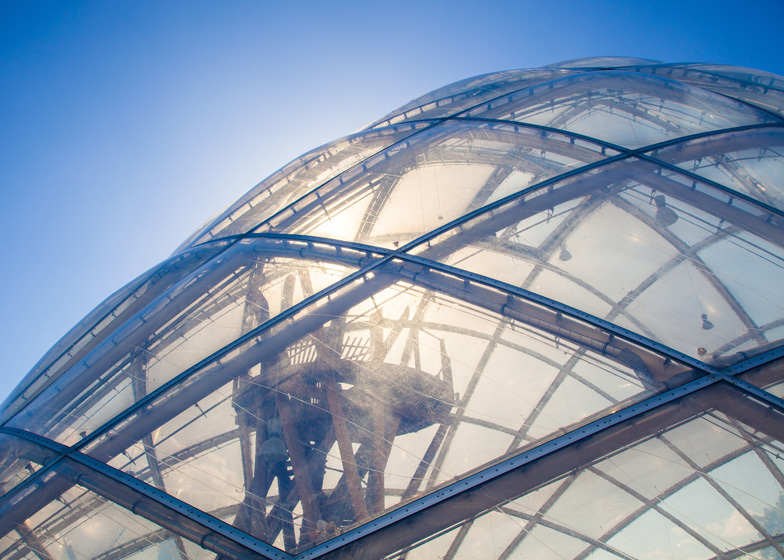 Transparent roofing made of ETFE foil cushions with an interior pneumatic shading system planned by formTL and C. F. Møller Architekten. 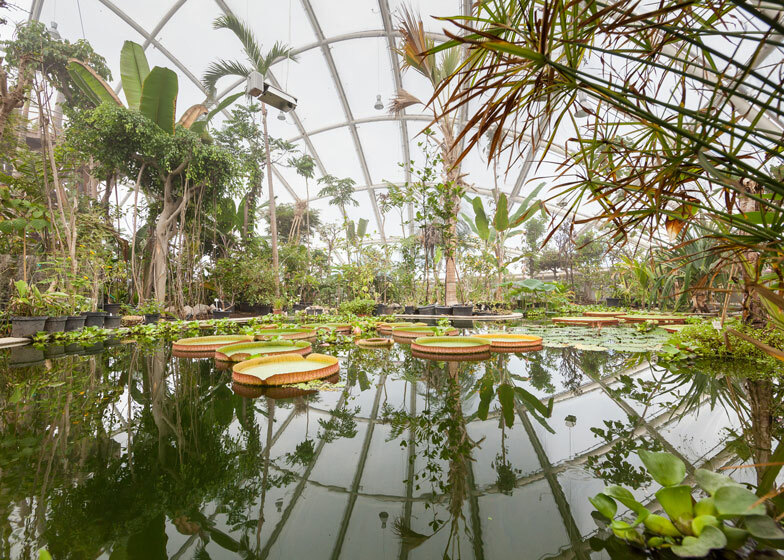 The new tropical conservatory at the Botanical Gardens in Aarhus is like a drop of dew in its green surroundings. 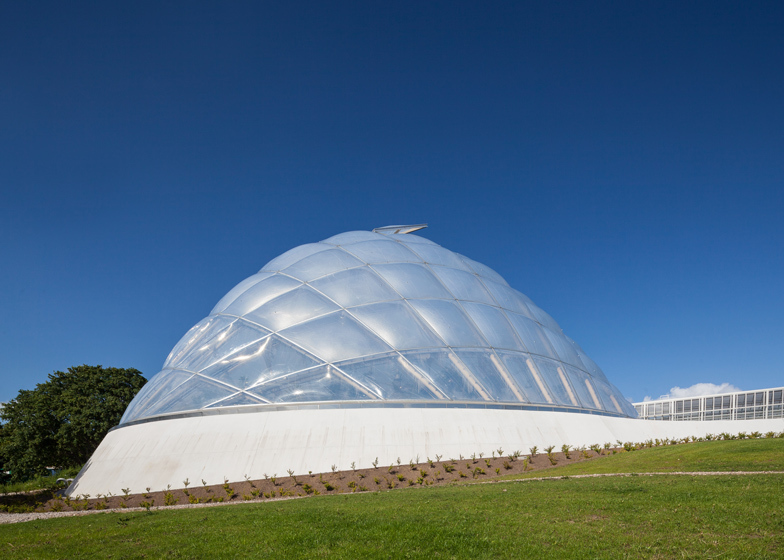 Its transparent dome set on an oval base extends the existing greenhouse built in 1969. A special feature of this structure is that is allows for the greatest interior volume with the lowest possible surface area, leading to high energy efficiency. The support structure consists of 10 steel arches, which fan out around a longitudinal and a transverse axis, creating a net of rectangles of varying sizes. formTL planned and designed a cover for these arches made mainly of double-layered ETFE cushions, which are affixed with biaxially bent profiles due to their complex structure. On the south-facing side, the cushions used were made with three layers, two of which were printed. Through changes in pressure, the relative positions of these printed foils can be adjusted. This can reduce or increase, as desired, the translucence of the cushions, changing the light and heat input of the building.